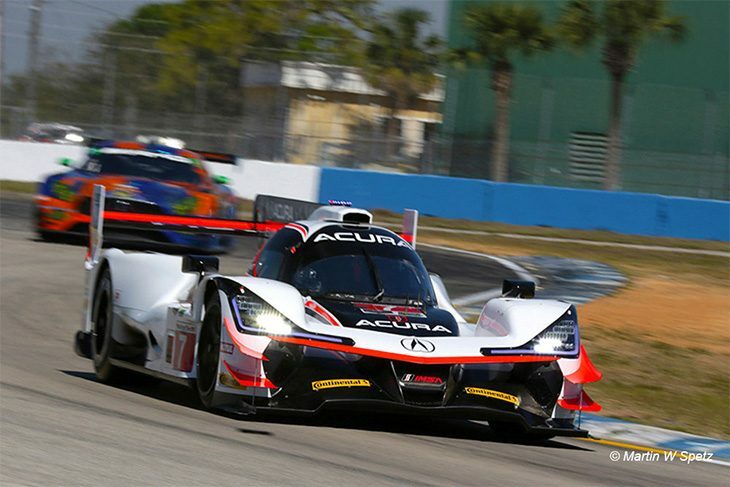 Acura Team Penske emerged quickest again in the second IMSA WeatherTech practice session of the weekend at Sebring. In FP1, it was Helio Castroneves who topped the times, while in FP2, it was his teammate Ricky Taylor who put the #7 ARX-07 at the head of the field. 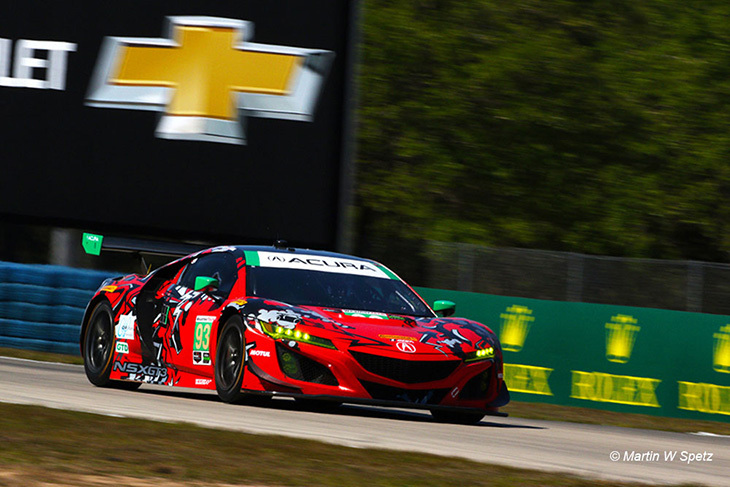 Taylor’s best lap, set early in the session, was almost a second quicker than the rest of the prototype field, the 2017 Sebring winner managing a 1:47.841. Mazda Team Joest’s solid start to the weekend continued in FP2, the team clocking up more milage with its RT24-Ps and putting up respectable times. Jonathan Bomarito put the #55 second with a 1:48.753, which put him top early. The sister #77 Mazda meanwhile, ended up fourth, a further two tenths adrift, behind the Rolex 24-winning #5 Action Express Cadillac that slotted in second. After failing to set a time in FP1, due to the team’s ORECA not being ready following a comprehensive rebuild after the pre-event test, CORE autosport ended up fifth in the running order, Colin Braun reeling off a 1:49.456. 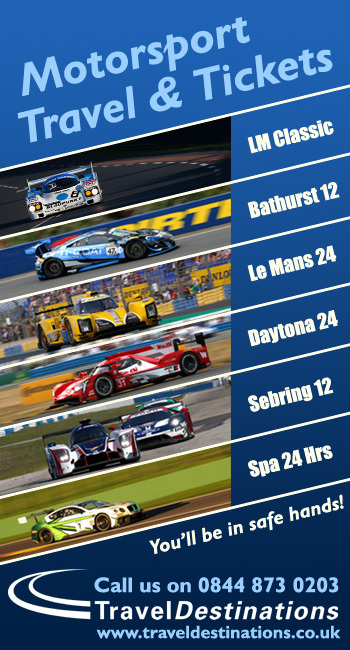 All but one of the Prototype runners turned laps in FP2, the one omission being the Spirit of Daytona Cadillac. The team was handed a five-minute hold at the start of the session for failing to hand over the car’s data card to the organisers on time after FP1. That penalty didn’t make much difference in the end though, as the team’s DPi V.R didn’t make it out. 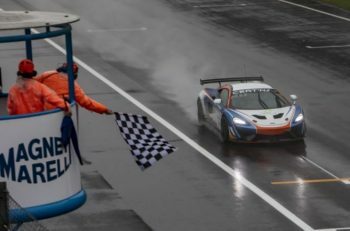 Arguably the bigest story of the session came in the GTD ranks, Justin Marks bringing the action to a stop early, after a big incident at Turn 13. Marks, driving the #93 Michael Shank Racing Acura NSX GT3, went hard into the tyre barriers head on, and ended up making contact with the concrete wall behind the tyres in the impact. Thankfully Marks was able to climb out the car under his his own power, the NSX GT3 though, has sustained heavy damage. 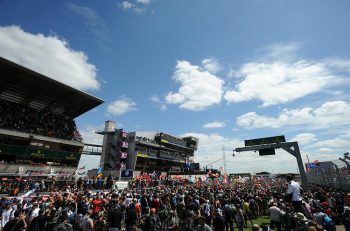 The organisers red flagged and called the session early, due to the damage to the barriers, and the stranded car. 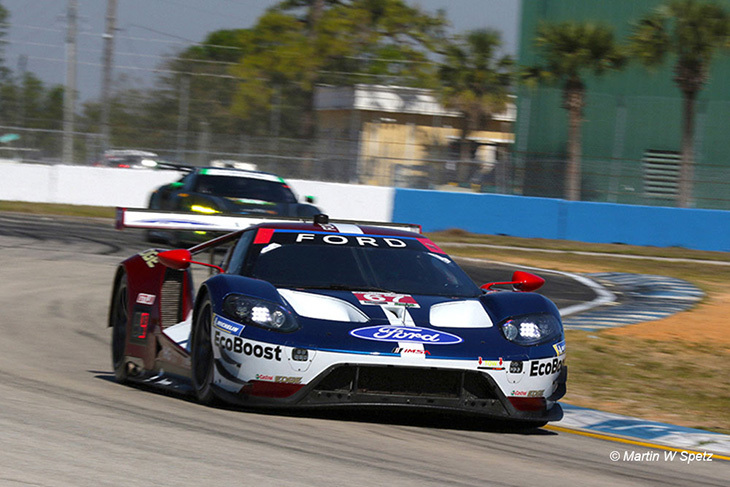 In GTLM, it was Richard Westbrook who kept Ford atop the times, the Britain managing a 1:57.566 in the #67 GT. Behind, the Risi Ferrari once again finished up second, with the #66 sister Ford third. Jack Hawksworth meanwhile, put Lexus on top of the screens for the first time this week, driving the #15 3GT Racing Lexus RCF GT3. Justin Marks’ teammate Mario Farnbacher put the #93 Shank Acura second and Matthieu Jaminet set a 2:00.635 to put the Wright Motorsports Porsche third. Next up for the WeatherTech teams is Night Practice, which will start at 19:35 local time tonight.